Learn how to increase your coordination, sharpen your cognitive skills and enhance your self-confidence in the comfort of your own home. The Move With Balance® activities are perfectly designed for solo use, especially for seniors who are mobile and independent. 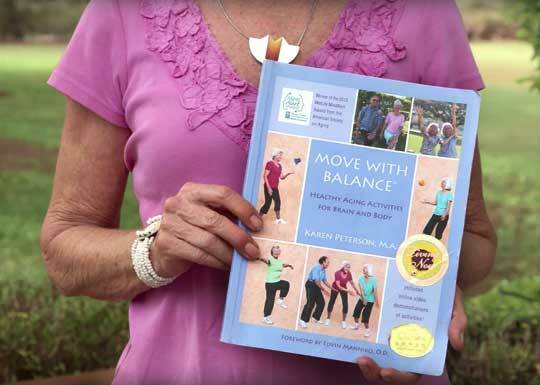 You will find that the book and partner videos provide a easy, convenient and flexible method for you to improve your balance, vision, coordination, and cognitive functions. Once you have purchased the book, you will have access to 60 online videos. Become part of the Move With Balance community, which gives you access to webinars, lectures from guest speakers and newsletters. The Move With Balance community is dedicated to staying in balance for life. Bill Fuller is an accomplished musician and has created music tailored to program: including original songs created specifically for Move With Balance as well as some old classics. The Move With Balance songs include new takes of classics such as “I Walk the Line” from Johnny Cash and “Rock Around the Clock” from Bill Haley & His Comets. 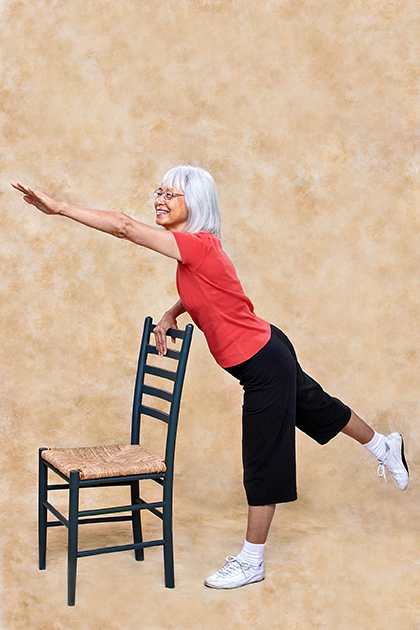 The old classics trigger long term memory, while the movements increase the benefits of the exercises. Visit the shop to purchase individual songs tailored to the exercises in the book. You can also purchase the music manual to learn detailed information on how to combine music with the exercises in the Move With Balance book. Do you have some questions or concerns about how you can adapt the Move With Balance exercises to your health and living environment? Please don’t hesitate to get in touch, we would be delighted to help.